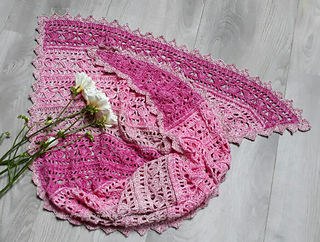 I’ve designed this shawl so it can be customised by you. 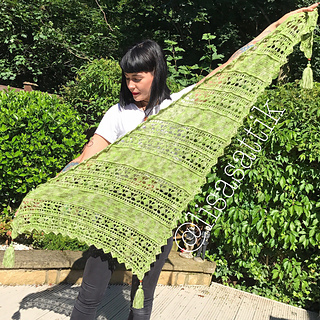 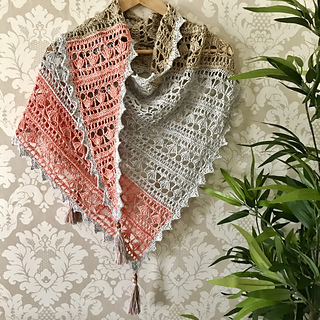 I’ve used 4ply in the sample shawl but you really can use any yarn and any hook size you wish to really make it your own. 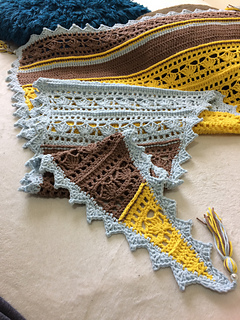 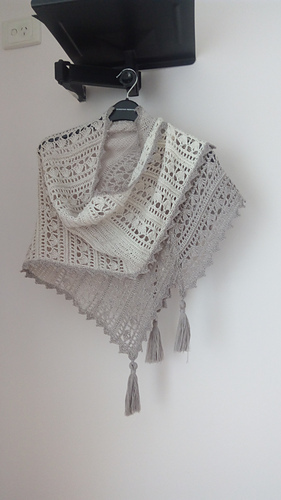 Just repeat the Chocolate Box lace pattern until you have the length of shawl you desire. 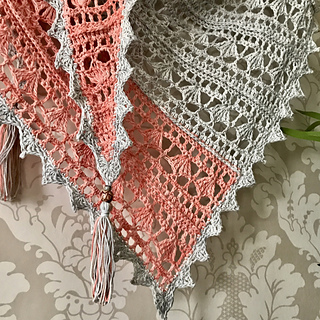 There is an optional plain panel included too, which can be added into the design to allow you to really make this design your own. 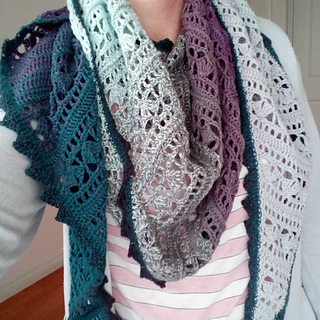 Use multiple colours or just one, the choices and possible looks are endless. 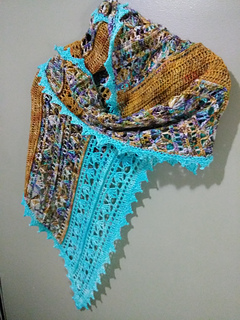 The shawl is finished with an edging and tassels. 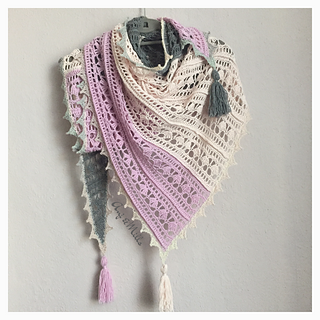 You’ll find written instructions, charts and also a tassel making photo tutorial included.